September 14, 2015 – On September 13, 2015, as NASA’s Solar Dynamics Observatory (SDO) kept up its constant watch on the sun, its view was photobombed not once, but twice. Just as the moon came into SDO’s field of view on a path to cross the sun, Earth entered the picture, blocking SDO’s view completely. 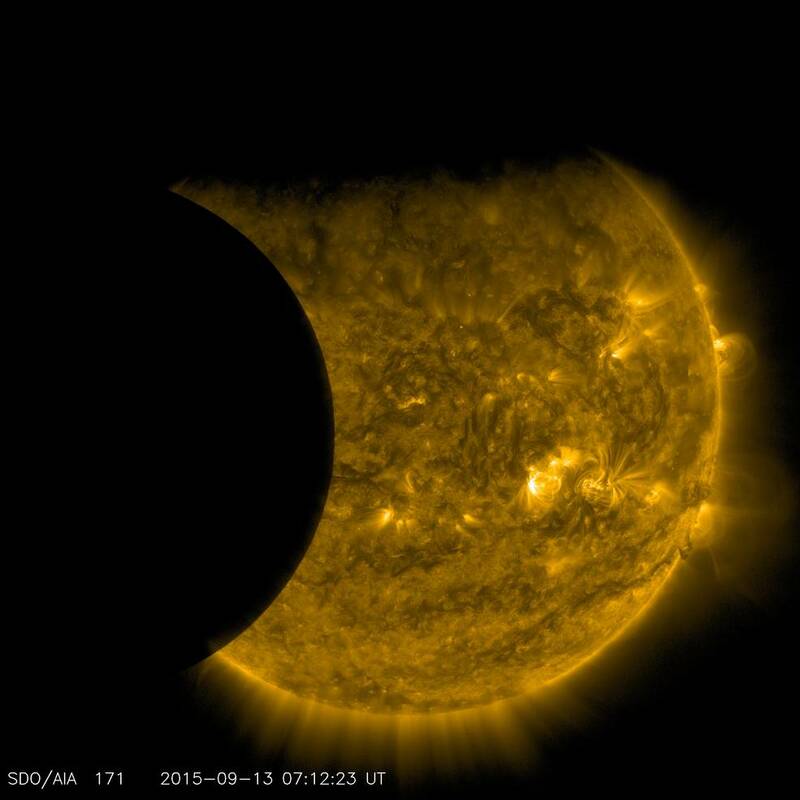 When SDO’s view of the sun emerged from Earth’s shadow, the moon was just completing its journey across the sun’s face.